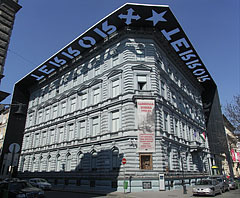 The House of Terror Museum ("Terror Háza Múzeum") on the Andrássy Anenue is an often recommended tourist destination, probably not without reason. 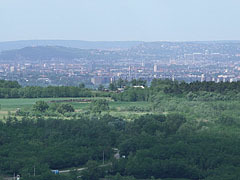 The institution was established in 2002 and contains exhibitions about the 20th-century Hungarian and European dictatorial regimes (primarily the Communism and the Fascism). The other main target ot the museum is to preserve the memory of the victims of these regimes as well. Queen Jadwiga of Poland was born in 1373 as the daughter of King Louis I of Hungary and Elizabeth of Bosnia. Just like St. Elizabeth of Hungary she was the patron of the poor people and the orphans. 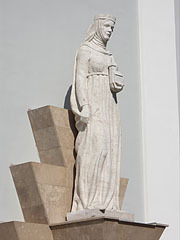 She distributed her assets among the poors and set up a foundation for the University of Kraków (aka Kraków Academy, today Jagiellonian University or in Polish "Uniwersytet Jagielloński"). She died in Kraków, Poland in 1399 at a young age (she was only 26), during the birth of her first child.